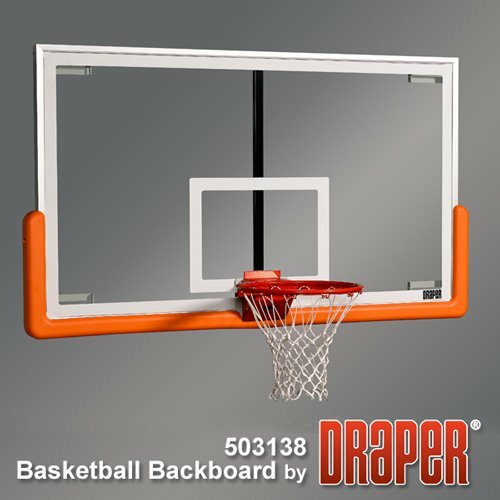 The Draper Up Folding wall mount basketball systems come with all the bells & whistles, regulation sized 42 x 72 glass backboard, breakaway goal, board pad, motorized winch & safety strap. 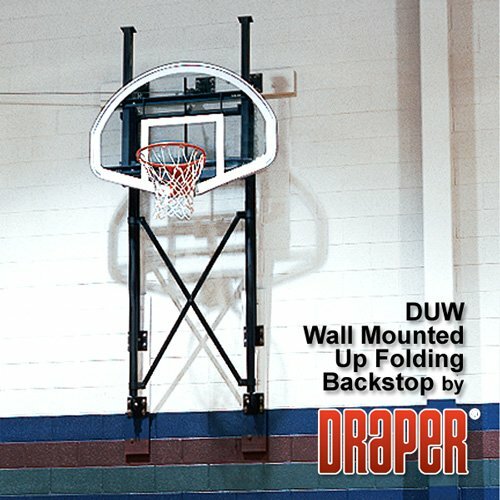 Draper Premium DUW Motorized Up Folding Wall Mount Backstop folds upward to nearly flat against the wall. Steel tubing framing system. Two 1/4" (6mm) welded-link chains support unit in play position. 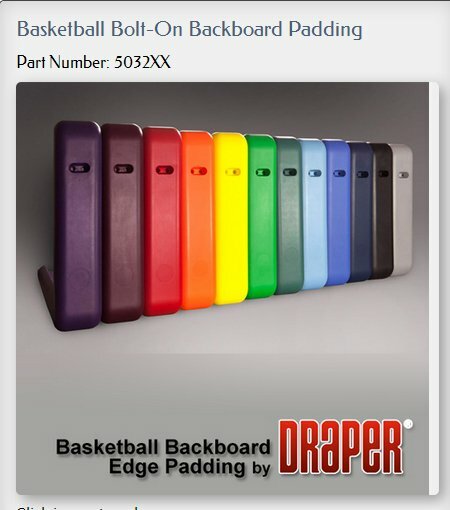 DUW Image shown to the left is of a fan shaped backboard and is not correct this system comes standard with the rectangular EZ Strut regulation 42" x 72" tempered glass backboard. 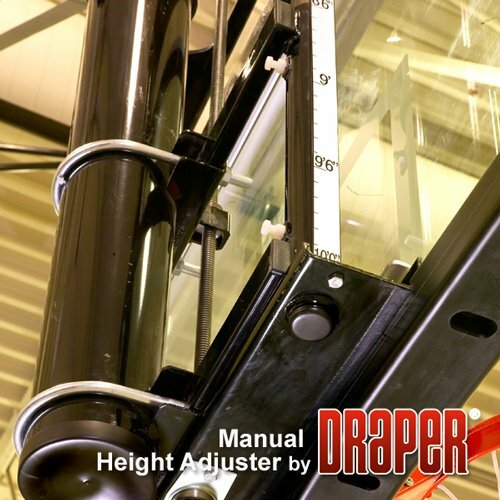 System meets or exceeds NCAA and NFHS specifications. 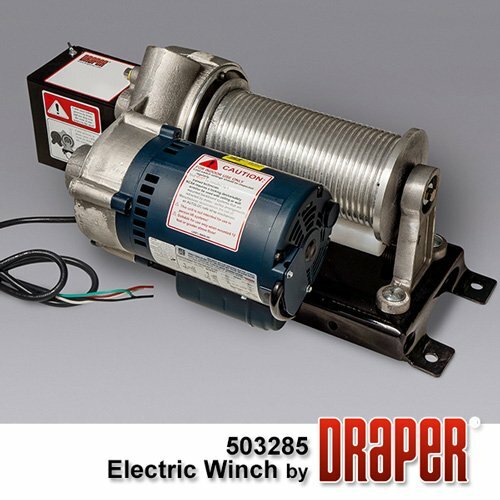 25 Year limited warranty. 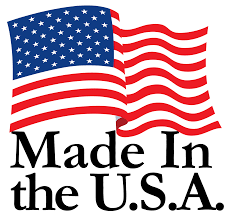 Mounting frame length cut to order in 1 foot increments between 4'-12' your choice of black or white powder coated finish. 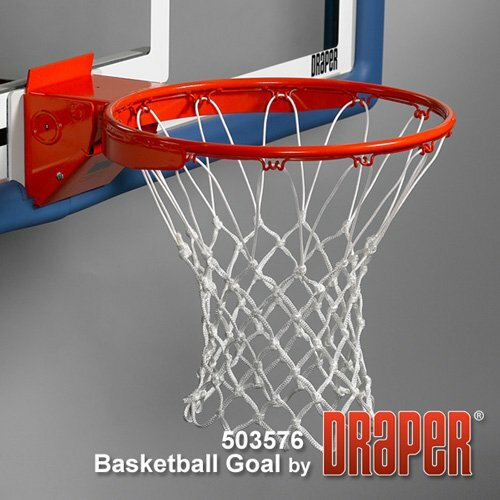 Final cut frame adjusts +/- 6 inches to allow for the addition of optional backboard height adjuster. 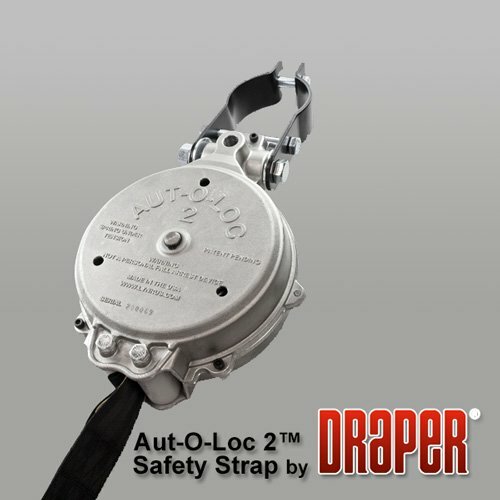 Regulation size 42" x 72" tempered glass backboard, Breakaway Rim, Backboard Pad (choice of 12 colors) , Motorized Winch with Key Switch, and AutoLoc Safety strap listed below. 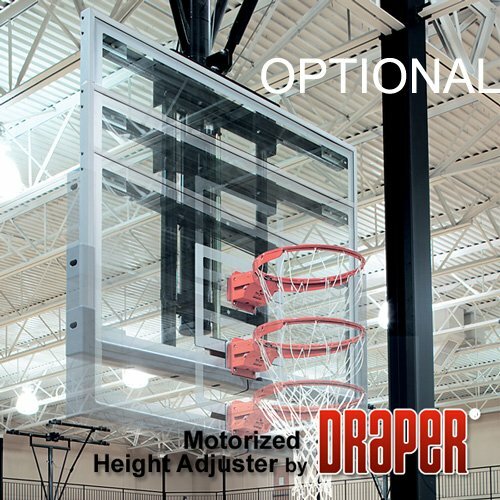 **Optional manual or motorized backboard height adjusters also available. MOUNTING FRAME 4 point up folding wall mount structure custom cut in 1' increments from 4'-12' black or white powder coated finish.